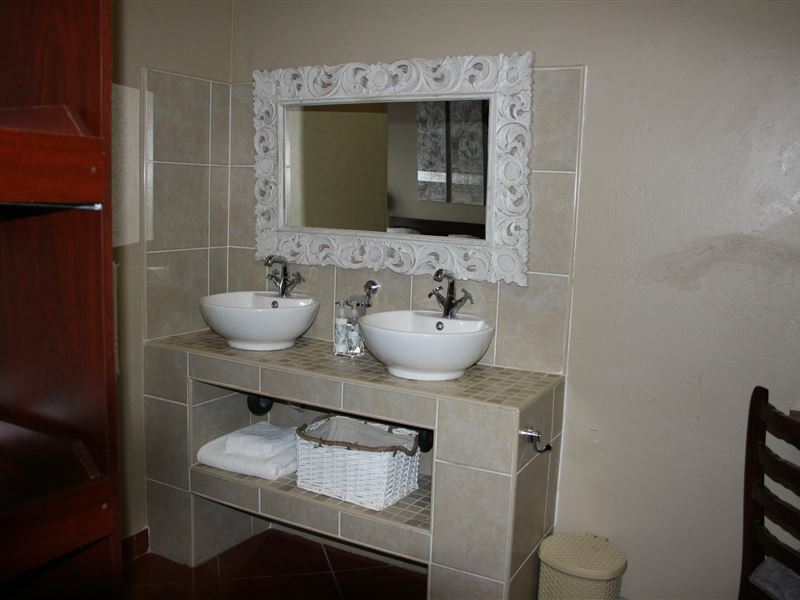 Jelani Guest House is self-catering accommodation, located in White River, just north of Nelspruit and close to the Crocodile River Valley. 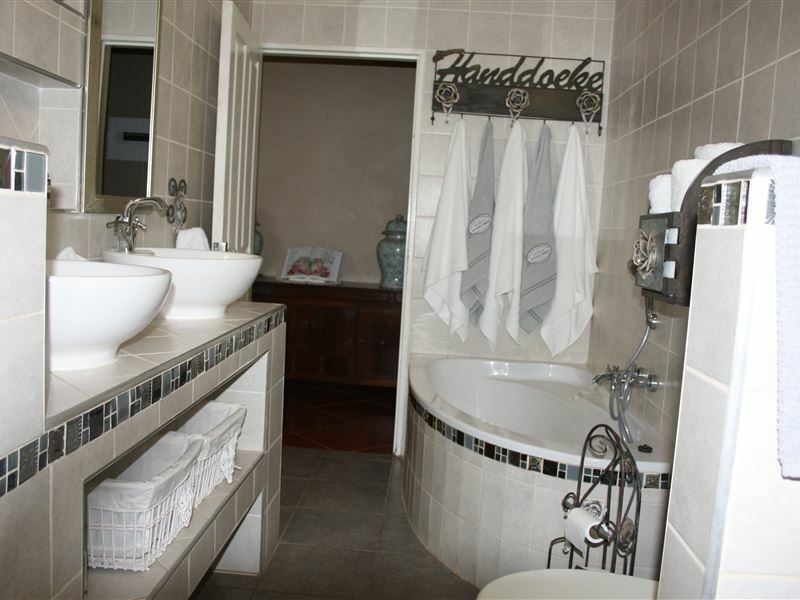 Accommodation is available across four guest rooms; two have en-suite bathrooms, while the other two bedrooms share a bathroom. 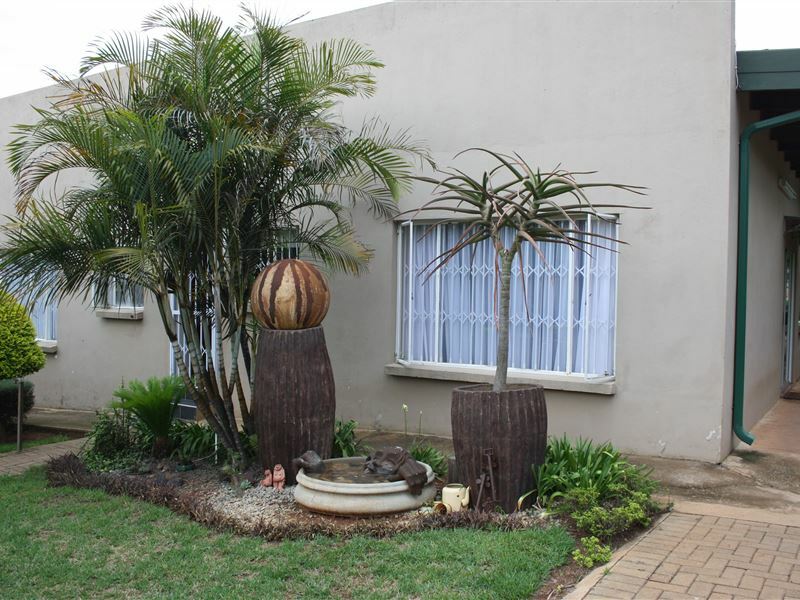 The Guest House is situated on a plot approximately 1.5km from the main road in White River. 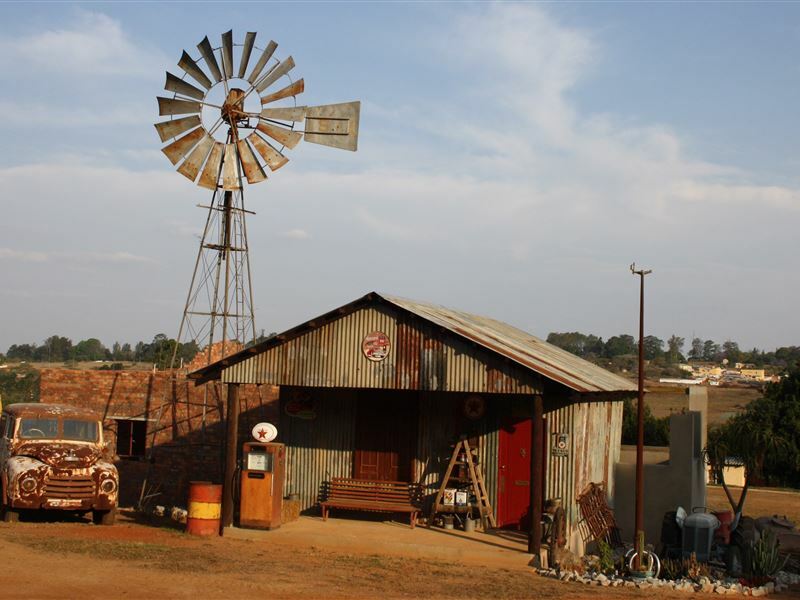 Whether you need just one room or the entire house, Jelani Guest House is the ideal accommodation, found close to the border of the Kruger National Park and the Panorama Route. 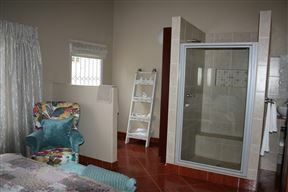 It is surrounded by scenic and tranquil forests, and is the perfect escape for nature lovers. 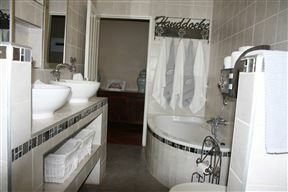 Lize has a single bed and has a shared bathroom. It has coffee making facilities. 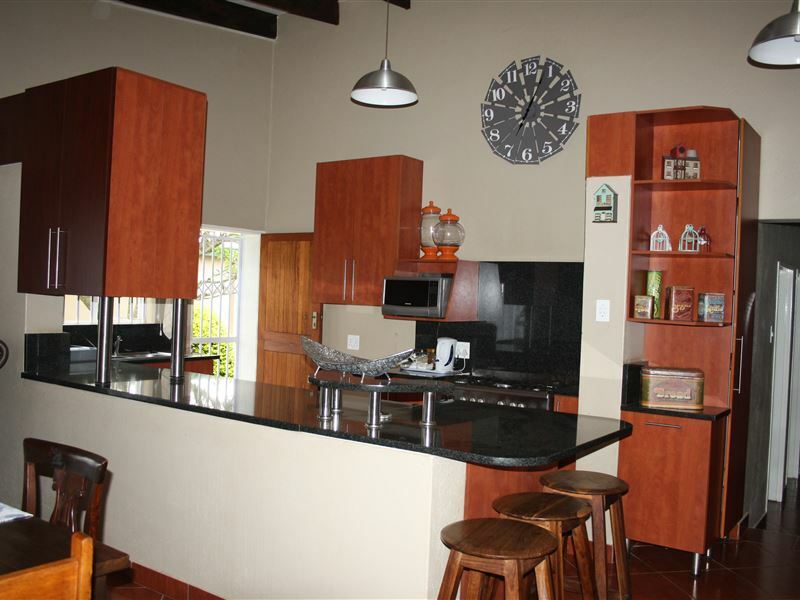 It has a communual kitchen, TV room and braai area. Dane has a double bed and a cot. 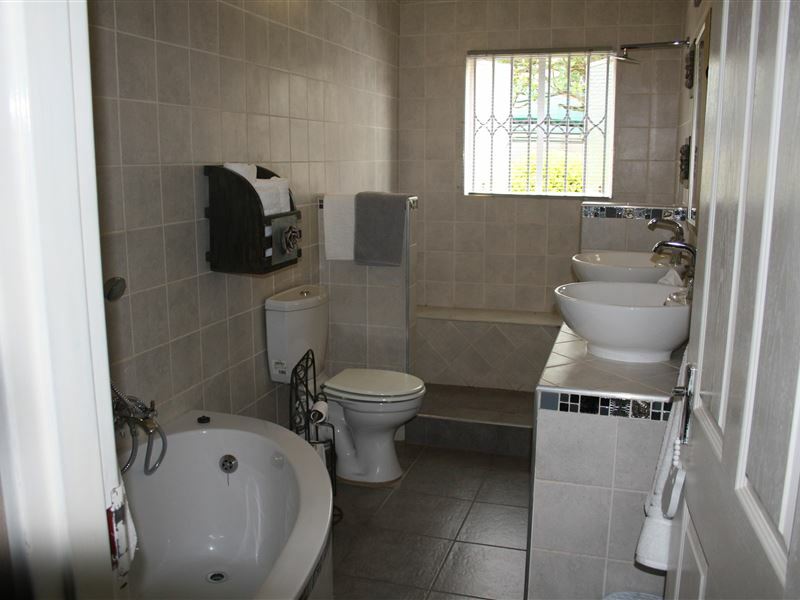 It has a full shared bathroom. It has coffee making facilities. it has a communual kitchen, TV Room and braail area. Karlien has a queen bed and sleeps 2 people. Arrangements can be made should a cot or a matrass be required for a child. 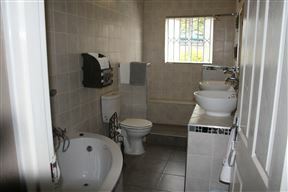 It is en-suite and has coffee making facilities. 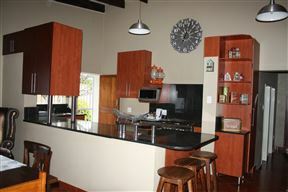 The house is self catering with a communual kitchen, TV Room and braai area. Amone has a double bed. A cot or a matrass can be put in the room for a child should it be required. 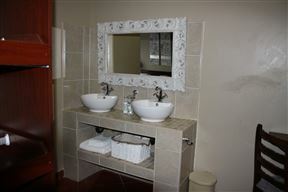 The guest house is self catering and has a communual kitchen, TV room and braai area. 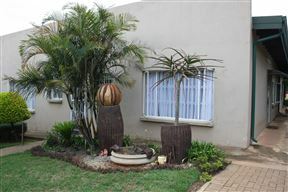 Shanlyn is a private flatlet for two, attached to the main house with it's own private entrance. 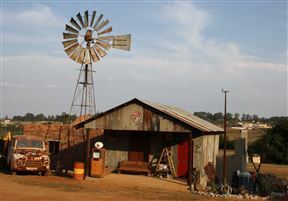 Unique accommodation with the bedroom being inside a real Ox Wagon. 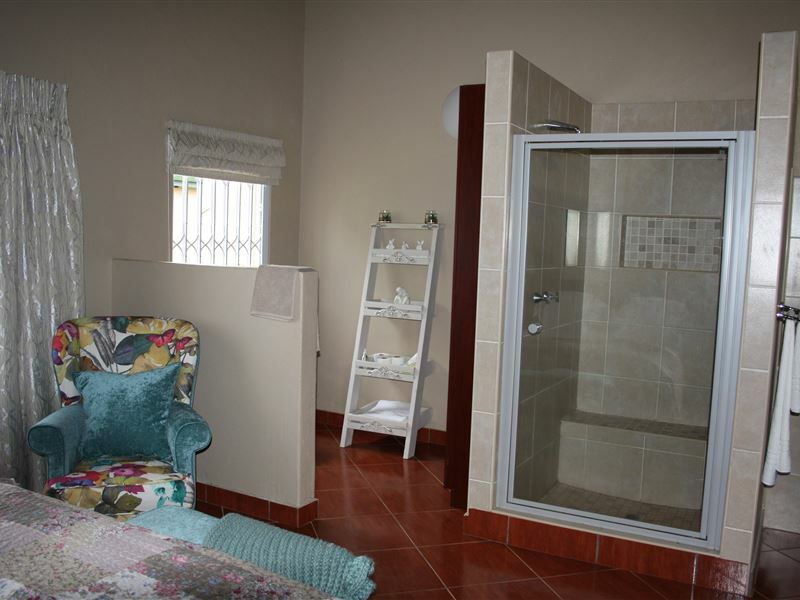 Unit has a full bathroom with a kitchen, seating area and patio.